First Look: WWE and BOOM! 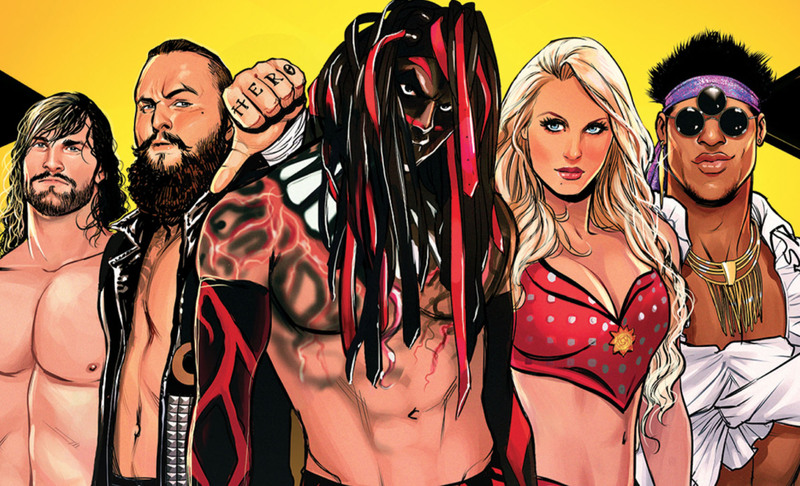 Studios' NXT TakeOver comic book event – AiPT! Dusty Rhodes fittingly kicks off an NXT-focused event in the WWE comic book universe. It was announced a couple months ago that BOOM! Studios’ acclaimed WWE comic book series would experience a takeover at the hands of NXT in September. Today, BOOM! is giving us our first look at issue #1 of NXT TakeOver: The Blueprint, and fittingly it kicks it all off with the heart and soul of NXT, Dusty Rhodes. After The Blueprint will come Proving Ground, focusing on Finn Balor and Samoa Joe, Into the Fire, depicting Asuka’s rise to the top of the card, and Redemption, where Johnny Gargano and Shayna Baszler take center stage. Take a look at the full preview below, as well as BOOM!’s official press release.